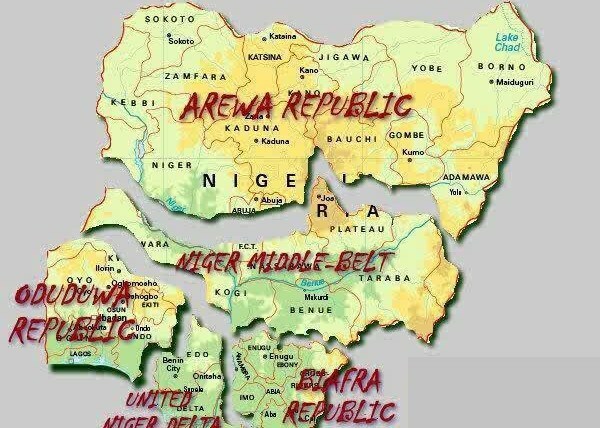 A group said to represent the Yorubas in Western Nigeria has revealed its plan to secede from Nigeria as the country it reported, is not viable again. Following the agitation for secession led by the Indigenous People of Biafra and its leader Nnamdi Kanu, a group known as Yoruba Liberation Command (YOLICOM) has declared the decison of the Yorubas to secede from Nigeria to form Oduduwa Republic with immediate effect. According to The Independent, the group while speaking on Thursday at International Press Centre Ogba Lagos, through its spokesperson, George Akinola said Nigeria is slowing down the progress of the Yorubas, killing and maiming the citizenry. He stressed that Yorubas were forced by the British into the Nigeria Republic and the best time for peaceful dissolution like other countries is now.